Located in the heart of Sicily, Da Luca celebrate everything that's great about wine and Sicily. Nothing captures the Sicilian spirit and vibrancy better than Scopa. Played by families after dinner and growers amongst the vines, this lively, local card game was the perfect inspiration for Da Luca's packaging. With their rich wine-making heritage and flair for creativity, they pride themselves in producing bold, distinctive wines. 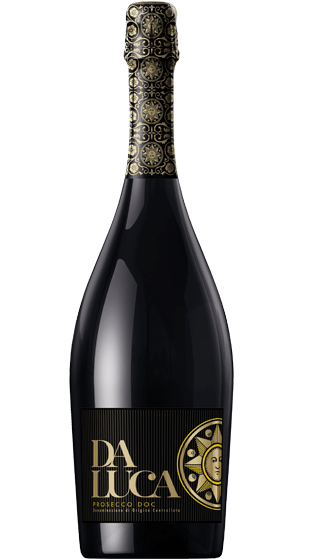 Da Luca are proud to work with grape growers in Northern Italy to create their finest Prosecco. With wonderful peach and apricot aromas, it has a fresh zingy palate with just a touch of sweetness and a clean lingering finish.